Traditional colors of Hanukkah and its associated products are blue and silver. It involves different blue shades the most evident clarification for Hanukkah blue and silver or white colors is the Israeli flag. The blue stripes on the flag represent those imprinted on Tallitot, a Jewish traditional shawl that is being used to wear in weddings, synagogue, and bat mitzvahs. Blue and silver or white are the shades of Judah; white is the brilliance of the brotherhood, and blue, the wonderful qualities of the firmament. White proposes virtue, light, and peace. Blue is connected with the sky, shrewdness, faith, and truth. Blue and white Chanukah candles are additionally utilized as per decoration of different areas of house as Hanukkah decorations. Dreidel comes in different colors imprinted Hebrew alphabet on it. Dreidels have no specific color but it looks great if the feast theme is followed such as blue metallic dreidels. Ribbons also demonstrate a decent decoration look, the combination of white, blue and silver is being utilized. 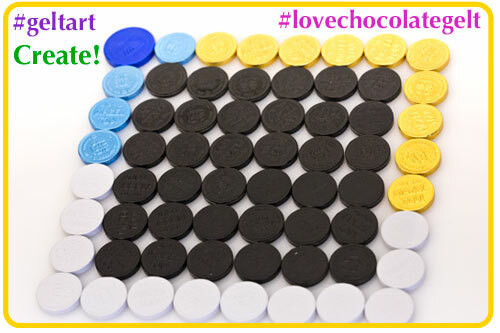 The appropriate shades of blue can be used for hanukah party supplies such as dreidels, table top decorations, Chanukah candles, and blue and silver chocolate coins (gelt). 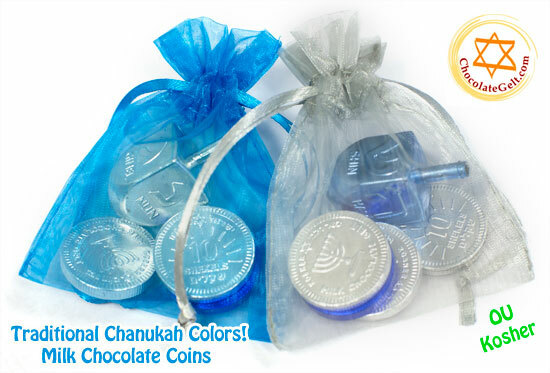 Chocolates usually come as Israeli Shekel and you can find them in traditional chanukah colors blue and silver foil as referenced above, they are Gluten-free and Kosher OU Dairy. Another great decoration idea is little organza pouches with silver and blue gelt and dreidels, you can buy them already made or get them as a kit and put these favors together yourself with friends and family. Find more hanukkah theme ideas on Chocolategelt.com #hanukkah time soon! Currently viewing:What are the traditional colors of Hanukkah?